I have always written for a range of publishing outlets, from popular press to academic publishers. Here you can find an overview of everything I have published, since the beginning of time. Miah, A. & Rich, E. (2014) Editoriale, in Corposanto, C. & Lombi, L. e-Methods and Web Society, Salute e Societa (Health and Society), 11-17. Miah, A. (2012) Genetics & Sport: Bioethical Concerns, Recent Patents on DNA and Gene Sequences, 6(3), 197-202. Miah, A. (2012) How Do You Infuse Culture with the Olympics?, Culture @ the Olympics, 14(8), 58-63. Miah, A. (2012) “This is for Everyone”:The London 2012 Olympic Games Opening Ceremony as a Cultural Celebration, Culture @ the Olympics, 14(7), 44-57. Miah, A. (2012) The London 2012 Social Media Olympics, Culture @ the Olympics, 14(6), 40-43. Miah, A. (2012) Twenty Twelve vs. The Games: The Art of Olympic Satire, Culture @ the Olympics, 14(5), 35-39. Miah, A. & Garcia, B. (2012) Introduction to 2012 Edition, Culture @ the Olympics, 14(1), 1-2. Miah, A. (2011) #Media2012: Media Blueprint for London 2012, Culture @ the Olympics, 13(1), 1-6. Miah, A. (2011) Ambush Media & the Olympics, Culture @ the Olympics, 13(4), 24-26. Miah, A. (2009) Human Enhancement in Performative Cultures, Annales de Philosophie, pp.171-192. Miah, A. (2009) Human Enhancement: A Reply to Mehlman, Issues in Science and Technology, 5(4), 6-8. Miah, A. (2009) Medicalization, Biomedicalization, or Biotechnologization? Biocultural Capital and a New Social Order, Salute e Società / Health and Society (Italian), special edition ‘The Medicalization of Life’, edited by Maturo A. & Conrad, 8(2), pp.248-251 [dual published in Italian, pp.264-267]. Rich E. & Miah, A. (2009) Prosthetic Surveillance: The medical governance of healthy bodies in cyberspace, Surveillance and Society, 6(2), 163-177. Miah, A. (2008) Letter to Utopia: A Reply to Bostrom, Studies in Ethics, Law and Technology, 2(1), 1-6. Miah, A. (2008) Engineering Greater Resilience or Radical Transhuman Enhancement, Studies in Ethics, Law and Technology, 2(1), 1-18. Miah, A. (2007) Genetic Selection for Enhanced Health Characteristics, Journal of International Biotechnology Law, 4(6), 239-264. Miah, A. (2007) Genetics, Bioethics & Sport, Sport, Ethics and Philosophy, 1(2), 146-158. Kayser, B., Mauron, A. & Miah, A. (2007) Current Anti-Doping Policy: A Critical Appraisal, Biomedical Central Medical Ethics, 8(2), doi: 10.1186/1472-6939-8.2. Miah, A. (2006) Rethinking Enhancement in Sport, in Bainbridge, W.S. and M.C. Roco Progress in Convergence, Annals of the New York Academy of Sciences, Vol, 1093, pp.301-320. Miah, A. (with Rich, E.) (2006) The Value of an Open Future: Ability, Talent Identification & Genetic Determinism, Sport, Education & Society, 11(3), 259-273. Miah, A. (with Keyser, B. & Mauron, A.) (2005) Viewpoint: Legalisation of performance-enhancing drugs. The Lancet, Special Supplement on Sport & Medicine, Dec, 366, S21. Miah, A. (2005) Genetics, Cyberspace and Bioethics: Why Not a Public Engagement with Ethics? Public Understanding of Science 14(4), 409-421. [Ranking 2004 Social Science Edition: 4/27 (History & Philosophy of Science) 20/40 (Communication) Impact Factor 0.739] [ISSN: 0963-6625]. Miah, A. (2004) The Public Autopsy: Somewhere Between Art, Education, and Entertainment, Journal of Medical Ethics, 30, Dec, 576-579. Miah, A. (2003) Be Very Afraid: Cyborg Athletes, Transhuman Ideals & Posthumanity, Journal of Evolution & Technology, 13(2), [Available from: http://www.jetpress.org/volume13/miah.html]. Miah, A. (2003) (e)text: Error…404 Not Found!, or the Disappearance of History, Culture Machine: The E-Issue, 5, [Available from: http://culturemachine.tees.ac.uk/frm_f1.htm]. Miah, A. (2003) Genetic Modification (GM) in Sport: Legal Implications, Contemporary Issues in Law, Vol.6(3), pp.207-226 [ISSN: 1357-0374]. Miah, A. (2003) Dead Bodies for the Masses: The British Public Autopsy & the Aftermath, CTHEORY: International Journal of Theory, Technology & Culture, Event-Scene, E119 [Available Online from: http://www.ctheory.net/text_file.asp?pick=363]. Miah, A. (2002) Is bigger better? : A response to the international tennis federation’s ‘bigger balls’ proposal, International Sports Studies, 24(2), pp.19-32. Miah, A. (2002) Governance, Harmonisation & Genetics: The World Anti-Doping Agency and its European Connections, European Sports Management Quarterly, 2(4), 350-369. Miah, A. & Garcia, B. (2002, Spring) The Truth About Olympic Truce: Rights, Responsibilities & the Impossibility of Being ‘Global & Apolitical’, Human Rights Tribune, vol.9, No.1. 30-1. Miah, A. (2002) Immersion and Abstraction in Virtual Sport, Research in Philosophy and Technology, Vol.21, 225-233. Miah, A. (2002) Genes, Sports, and Ethics: A Response to Munthe (2000), Research in Philosophy and Technology, Vol.21, 269-289. Miah, A. (2001) Genetic Technologies and Sport: The New Ethical Issue, Journal of the Philosophy of Sport, XXVIII, 32-52 [ISSN: 0094-8705]. Miah, A. (2000) The Engineered Athlete: Human Rights in the Genetic Revolution, Culture, Sport, Society, Vol.3, No.3, 25-40 [ISSN: 1461-0981]. Miah, A. (2000) Virtually Nothing: Re-evaluating the Significance of Cyberspace, Leisure Studies, 19:3, 211-225 [ISSN: 0261-4367]. Miah, A. (2019) Enhancing Evolution: The Transhuman Case for Gene Doping. 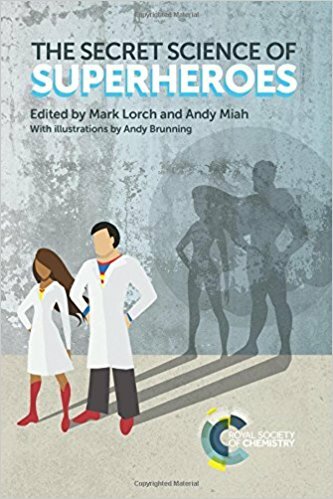 In: Lightfoot, J.T, Hubal, M.J. and Stephen M. Roth (Eds.) The Routledge Handbook of Sport and Exercise Systems Genetics. Oxon: Routledge, pp.463-474. Miah, A. (2015) Human Enhancement & Sport. Convergence in Science & Technology (Second Edition), Springer Reference. Miah, A. (2015) Art. Convergence in Science & Technology (Second Edition), Springer Reference. Miah, A. 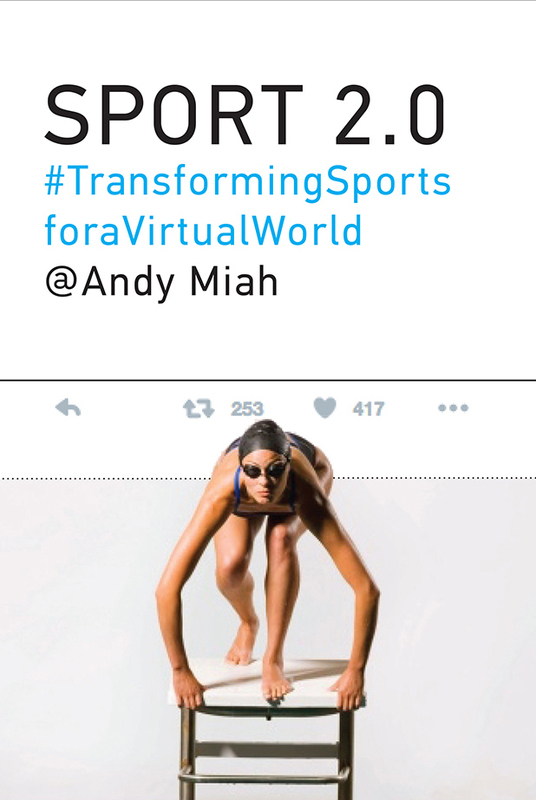 (2015) Human Enhancement in Sport. Global Handbook on Bioethics, Springer Reference. Miah, A. (2014) Bioarte: Actuacion Transhumana y Posthumana, in Figueroa Sarriera, H.J., Gordon Lopez, A., and de Rivera, A. Teknokultua Entre Dos Siglos: Technociencia, Arte, y Cultura, Madrid, Catarata, p.79-99. Miah, A. & Rich, E. (2014) Editorial, eMethods & Web Society, Health & Society [Italian], Bologna, FrancoAngeli. pp.11-17. Miah, A. (2014) The CyberSport Nexus, in Billings, A.& Hardin, M. The Routledge Handbook of Sport and New Media, Oxon & New York, Routledge, pp.76-86. Miah, A. (2014) Tweeting the Olympic Games, in Girginov, V. The Routledge Handbook of the London 2012 Olympic & Paralympic Games, Volume 2, Oxon, Routledge, pp.96-109. Miah, A. (2014) Bioart, in Ranish, R. & Sorgner, S. Posthumanism and Transhumanism., Frankfurt, Peter Lang, pp.227-240. Miah, A. (2013) Justifying Human Enhancement: The Accumulation of Biocultural Capital, in More, M. & Vita More, N. (Eds) The Transhumanist Reader: Classical and Contemporary Essays on the Science, Technology, and Philosophy of the Human Future, Oxford: Wiley Blackwell. Miah, A. & Jones, J. (2012) The Olympic Movement’s New Media Revolution: Monetization, Open Media & Intellectual Property, In: Wagg, S. & Lenskyj, H. Handbook of Olympic Studies, Palgrave, pp.274-288. Miah, A. (2011) Ethical Issues Raised by Human Enhancements, in: Gonzalez, F. Ethics and Values for the 21st Century, BBVA Spain, 199-233 [Also in Spanish]. Miah, A. (2011) Biotechnology, Bioethics & Bioart, in Future : Content, It's Nice That. Miah. A. (2011) The Worth of the International Olympic Academy. 50th Anniversary book of the International Olympic Academy, IOA Greece. Miah, A. (2011) Towards Web 3.0: Mashing Up Work & Leisure. In: Bramham, P. & Wagg, S. The New Politics of Leisure & Pleasure. Palgrave. 136-152. Adi, A. & Miah, A. (2011) Open Source Protest: Rights, Online Activism, and the Beijing 2008 Olympic Games, in Cottle, S. & Lester, L. Transnational Protests and the Media. Peter Lang,213-224. Miah, A. (2010) Bioethics, in Barnett, G. & Guston, D.H. Encyclopedia of Nanoscience and Society, SAGE Reference. Miah, A. & Rich, E. (2010) The Bioethics of Cybermedicalization, in Nayar, P. The New Media and Cybercultures Anthology, Wiley-Blackwell, 209-220. Miah, A. (2010) The DREAM Gene: Reducing Exercise-Induced Pain Sensations Using Gene Transfer. For Sands, R. and Moore, P. Anthropology of Sport and Human Movement. Lexington Books, a division of Rowman & Littlefield Publishers, Inc, pp.327-341. Miah, A. (with Rich, E.) (2009) Gene Manipulation, in Atkinson, M. (2009) Battleground Sports. Westport, CT: Greenwood Press, 185-191. Dunne, A., Raby, F. & Miah, A. (2008) Screening for Undesirable Genes: The Evidence Dolls Project, in Miah, A. (2008). Human Futures: Art in an Age of Uncertainty (Liverpool University Press & FACT). Miah, A. (2008) A Critical history of Posthumanism. In: Chadwick, R. & Gordijn, B. Medical Enhancements and Posthumanity. Springer. Miah, A. (2008) A Deep Blue Grasshopper: Playing Games with Artificial Intelligence. In Hales, Benjamin. Philosophy Looks at Chess, Open Court Press. Miah, A. (2007) Retórica Moral. Ética Aplicada e Doping Genético. In: Rubio, Katia; Reppold Filho, Alberto Reinaldo; Todt, Nelson Schneider; Mesquita, Roberto Maluf De. Ética E Compromisso Social Nos Estudos Olímpicos. Porto Alegre: EDIPUCRS, pp.27-40. Miah, A. & Garcia, B. (2007) Non-Accredited Media, Olympic Games and the Host City. in Sport & Media. [translated into Chinese-Mandarin]. Miah, A. (2006) Therapeutische ingrepen, niet-therapeutische ingrepen en prestatieverbetering, in Hilvoorde, I. van & Pasveer, B. (eds.). Beter dan Goed. Over genetica en de toekomst van topsport. Diemen: Veen Magazines, pp.138-149 [Dutch]. Miah, A. (2005) Gene Doping: The Shape of Things to Come. In Tamburrini, C.M. and Tannsjo, T. (Eds.) Genetic Technology and Sport: Ethical Questions. London and New York: Routledge, pp.42-53 [ISBN: 0-415-34237-6]. Miah, A. (2003) Patenting Human DNA, in B. Almond and M. Parker (Eds) Ethical Issues in the New Genetics: Are genes us? Aldershot, Ashgate, pp.111-117. Miah, A. (2003) Gene-Doping: Sport, Values & Bioethics. In Glasa, J. (Ed.) The Ethics of Human Genetics. Strasburg, Council of Europe, pp.171-180 [ISBN: 80-88743-51-6]. Miah, A. (2003) …/cybersex/no_gender/no_sexuality/no_body.htmlIn S. LaFont (Ed.) Constructing Sexualities: Readings in Sexuality, Gender, & Culture, New York, Prentice Hall, pp.362-370. Miah, A. (2001) Simulating Sport In Virtual Arenas. Proceedings of the 11th Association of Sports Information World Congress, Sports Information In The 3rd Millennium. Lausanne, Olympic Museum. Miah, A. (2001) The Olympic Games and the Cyborg-Athlete: Any Room for Improvement?, Proceedings of the 8th International Post-Graduate Seminar on Olympic Studies, International Olympic Academy, Athens, pp.264-277. Miah, A. (2000) “New Balls Please”: Tennis, Technology, and the Changing Game. In S. Haake and A.O. Coe (Eds) Tennis, Science, & Technology. London: Blackwell Science, 285-292. Miah, A. (2000) The Human Rights of the Genetically Engineered Athlete, How you play the Game: the contribution of sport to the protection of human rights, University of Technology Sydney, pp.69-77. Miah, A. (2013) London 2012 Cultural Olympiad Social Media Analysis, Institute of Cultural Capital, Arts Council England. Miah, A. & Adi, A. (2009) Liverpool 2008: Centre of the Online Universe. for Social Media Impact study of the European Capital of Culture 2008, commissioned by Impacts 08: the Liverpool Model. Drake, P. & Miah, A. (2005) ‘The Final Push’: Live 8 and Celebrity in Scotland, 3-D, MeCCSA Newsletter. Miah, A. (2002) Genetically Modified Athletes: Some Answers to the Questions Everyone is Asking, News bulletin sport Science & Physical Education, Newsletter of the International Council on Sport Science & Physical Education, pp.32-33. Miah, A. (2002) The Use of Genetic Information in Sport, Report for the Australian Law Reforms Commission. Miah, A. (2002) Who says it is wrong? The Role of the International Bioethics Committee, Philosophy Today, Society for Applied Philosophy, p.10. Miah, A. (2001) Closing speech of the 9th Post-Graduate Seminar on Olympic Studies, 2001, International Olympic Academy, Olympia, Greece. Miah, A. (2000) Genetically Enhancing the Olympic Games, Living Ethics, Journal of the St. James Centre for Ethics, Issue 41, Sydney, Australia. Journalism is both a research interest of mine and a way of publishing my work. My research in this area has focused mostly on the media populations around the Olympic Games. Through this work, I have become involved with a number of different organizations, including the Press Association, for which I sit on a special interest group on social media. I have also recently examined the use of Google Glass and drones for journalism and, more widely, the rise of citizen journalism. I write regularly for the Huffington Post, but have also published in such places as the Washington Post, the Times, the Independent, the Guardian, Wired Magazine, and many others I try to write something for a media outlet at least once a month. It keeps the mind fresh, sharp and has the benefit of satisfying results, given the quick turn around from writing to publication. At the same time, I'm interested in how journalism culture is changing as a result of new media technology. Here's a selection of my contributions to journalism. Miah, A. (2011, Nov 24) Media Ethics: Is the Sky Falling? The Huffington Post. Miah, A. (2011, Feb 11) What Has the Internet Ever Done for Art? The Google Art Project and the Missing Net Art Movement, The Huffington Post. Miah, A. (2011, Jan 24) Has the Business Card Finally Had its Day?, The Huffington Post. Miah, A. (2010, March 2) From Vancouver 2010 to London 2012, The Huffington Post. Miah, A. (2010, Feb 20) Why Britain's Media are Failing at The Vancouver Olympic Games, The Huffington Post. Miah, A. (2010, Feb 16) Augmented Reality and Olympic Sport, The Huffington Post. Miah, A. (2010, Feb 12) The Opening Ceremony of the Olympic Games, The Huffington Post. Miah, A. (2010, Feb 8) The Vancouver 2010 Olympic Games: Predicting The First Major Controversy -- New Media Activism, The Huffington Post. Miah, A. (2008) Enhanced Athletes? It's Only Natural, The Washington Post. Miah, A. (with Matthew Syed) (2006, Oct 18) Digital era taking fans closer to action, The Times, p.82. Miah, A. (2006). Is Sport Winning the War on Drugs? No. The Guardian. London: p.7. Miah, A. (with Kayser, B. and Mauron, A.) (2006, Jan 17) En termes de sante publique, la guerre antidopage purrait bien etre un non-sens, Le Monde, p.3. Miah, A. (2005, Sept) Genetically Modified Athletes, Science & Public Affairs, Magazine of the British Association for the Advancement of Science. Miah, A. (2005, Aug) Is ‘Gene Doping’ Wrong?’, Project Syndicate (Newswire), New York. Miah, A. (2004, Aug 13). Why I believe…that genetic modification might be good for sport and society The Times Higher Education Supplement. London, p.14. Miah, A. (2004, Aug 1). Genetically Modified Athletes in Athens? Bring them on. The Observer. London, p.9. Miah, A. (2001, June 1) Soapbox: Why I...believe that genetically engineered athletes might not be cheating, Times Higher Education Supplement, London, p.16. Miah, A. (2001, April 25) The International Olympic Committee Guarantees Fair Play, Campus Review: Australasia’s Higher Education Newspaper. Miah, A. (2000, Feb 5) Enter the Superkid, New Scientist, 2224, 54. Miah, A. (1999, April 2) Readers’ Response to Bill Gates’ new book ‘Business@the Speed of Thought’, Times Higher Education Supplement, 16. Miah, A. (1999, May 21) Readers’ Response to article about genetically engineering disability, Times Higher Education Supplement, 20.